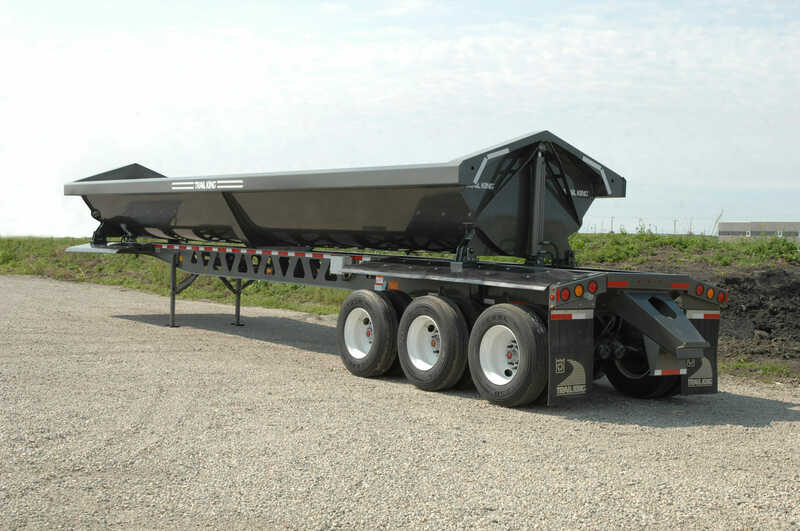 The Steel Side Dump (SSD) delivers a fast, clean dumping of your payload away from the trailer. The top rail and exterior tub reinforcement help to minimize twisting and flexing. Main frame I-beams and angle-mounted cross members result in improved strength that stands up to the toughest loading and hauling demands. One-Piece I-Beams: The main frames are built with durable one-piece web and flange material. A stronger main frame results in reduced load bounce. Flexible Fenders: Rugged, flexible, and impact-absorbent fenders shed falling debris to protect the wheels and the trailer. Stability Twin Cylinders: Single-stage cylinders offer maximum stability when dumping and are easy to maintain.